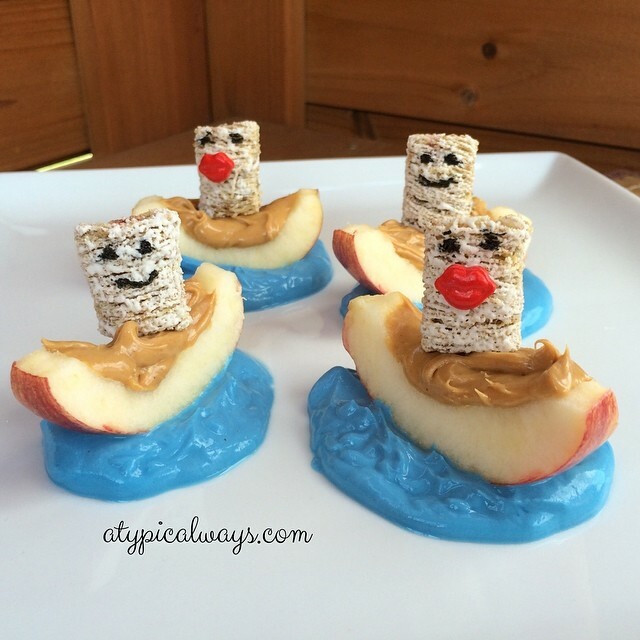 Peanut Butter & Apple Boats with vanilla Greek Yogurt & Frosted Mini Wheats! Fun little breakfast that I made for Dylan! I used a little black food coloring on the frosted mini wheats for faces and then added some blue food coloring to the yogurt!